The follow-up to 2015's (or 2014's, depending on your feelings on Early Access) hit indie game will feature four player local and online co-op, giving your friends the ability to drop in and out of your latest escape attempt. There's a new trailer out, in which you can see one of the most crucial parts of cooperative escape plans: four-piece bands. 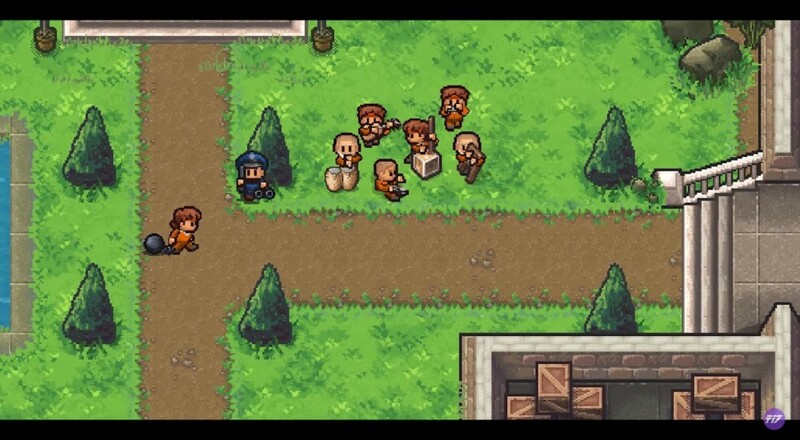 The game also boasts improved graphics, combat, and crafting over its predecessor, so your partners in crime will have plenty of ways to dupe the prison guards into letting you out of solitary. Work has also been done on the prison design and guard logic to ensure that you're constantly bearing the crushing weight of your captivity. There's still no word on a specific release date, but it's looking like it'll be later this year. So, what plans have you been devising for your forthcoming escapes? Let us know in the comments.